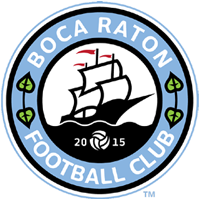 Boca Raton, FL – Boca Raton Football Club continues to add to its inaugural squad that will play South Florida FC on May 1st at Boca Raton HS Stadium. Today, the club has announced they have come to an agreement with former River Plate youth product, and Lynn University standout, Gabe Taboada. Taboada played all four years at Lynn University where he had his best season as a junior when he started 15 games for the fighting Knights and had 10 assists, which ranked him, 24th in the nation in assists. During his senior season, Taboada scored six goals and had seven assists and receive honorable mention to the All-SCC Men’s Soccer Team.